Pakistan may be Saudi Arabia’s best bet for a strong long-term security guarantee. As the likelihood of a rapprochement between Iran and the West grows, Saudi Arabia is quietly shoring up its relationship with Pakistan. According to various reports in the Pakistani media, Saudi Arabia requested an infusion of Pakistani soldiers following Pakistani Prime Minister Nawaz Sharif’s visit to Riyadh last week. Despite enormous defense spending, the Saudi military is unlikely to see sustained battle or gain combat experience anytime soon. As former U.S. Defense Secretary Robert Gates quipped, the Saudis are only willing to “fight the Iranians to the last American.” In other words, the Saudis are notoriously unwilling, or unable perhaps, due to poor training and morale, to solely use their own forces to protect their country. This is where Pakistan, with its relatively well-trained and professional military, comes in. Pakistan has long had a close relationship with Saudi Arabia and has been involved in protecting that country and the House of Saud. Pakistan has much friendlier relations with Iran than Saudi Arabia does, but ultimately it is more dependent on Saudi Arabia. Saudi Arabia, for example, gave oil to Pakistan in 1998 to help Pakistan weather international sanctions against it for conducting a nuclear test. The Saudis also saved Nawaz Sharif after he was overthrown in a coup in 1999, and he is thus beholden to them. 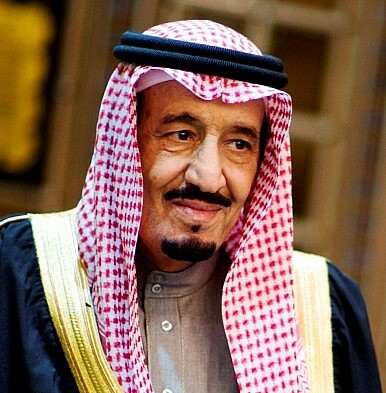 It is clear that Saudi Arabia is getting increasingly jittery, but cannot go public about this to avoid the impression that it is siding with Israel or sowing dissension in the Islamic world. Counting on Pakistan is one way it can shore up its own security while keeping a low profile. Saudi economic and educational strategy certainly seems to be aimed at increasing its leverage in Pakistan. There is no doubt that Pakistan will assist Saudi Arabia on security issues that are relatively minor, like preventing a militant seizure of Mecca. But it remains to be seen if Pakistan will get involved in a bigger way, other than to guarantee the continued existence of the Saudi state. Pakistanis most definitely do not want to get caught up in a proxy war between Iran and Saudi Arabia, especially when they have their own pressing regional and domestic issues to worry about.